Glen Alpine is conveniently located in Burke County, the heart of Western North Carolina and the Blue Ridge Mountains, offering up some of the best outdoor activities in the area and just minutes from Lake James State Park and the Catawba River. Discover the natural beauty of the Blue Ridge foothills, minutes from some of the region’s best wineries and breweries. Glen Alpine’s history goes back to 1868 when the Southern Railroad was built through “the little town five miles west of Morganton” (according to Sketches of Burke County by Cordelia Camp). Railroad workers called it Turkey Trail due to a tree next to the tracks that was shaped like a turkey tail. Here you’ll find an assortment of can’t miss things to do, from attending special events, dining at farm-to-table restaurants, learning about local history, shopping, theatre and antiquing. With Asheville and Black Mountain less than an hour away and Linville Gorge, Grandfather Mountain and the Blue Ridge Parkway nearby, there are so many things to do in Glen Alpine. Go play at Lake James State Park, a perfect place for picnics, reunions and days spent splashing around the beach and enjoying some pleasant hiking. Visit five wineries on the Catawba Valley Wine Trail, all located within minutes of Interstate 40. Each winery offers wine tastings and tours. Step through the leaded-glass front doors of the restored 1915 textile mill building and taste the magnificent flavors of the fine wines of Lake James Cellars. And be sure to take time to stroll through the aisles of the Old Mill Antiques located in the same building. For an adventure the entire family will enjoy, check out Beanstalk Builders. They offer the perfect mix of zip –lining, a climbing tower, and a swaying suspension bridge! Are you a Hunger Games fan? Be sure to travel to Henry River Mill Village to get a glimpse at the real ghost town behind District 12. 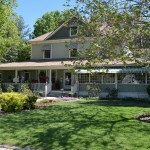 If you love historic homes, The Inn at Glen Alpine is a comfortable, yet elegantly appointed, place to hang out, drink wine, read a book and gaze outdoors at the spectacular views. 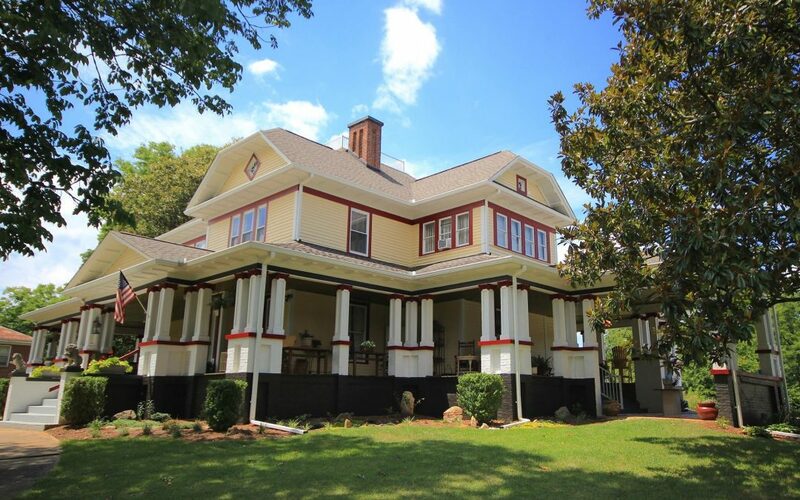 The 1913 Country Manor turned B & B offers the best porch in Burke County.